I Need a Sitter Today! 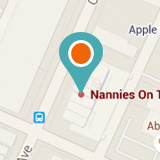 Nannies On the Go offers exceptional Fort Worth and Dallas Nannies. We offer professional childcare and nanny placement services in the Dallas, Fort Worth, Plano, Frisco, Keller, Colleyville, Grapevine and Southlake areas. If you are hiring a Nanny, we serve the entire DFW metroplex. As a local Nanny agency, we understand you have great expectations for your children and so do we. We do the homework for you… pre-screening reliable, and experienced nanny professionals to meet your busy family’s needs.